I love to applique and a quilt like this has been on my bucket list for a long time. 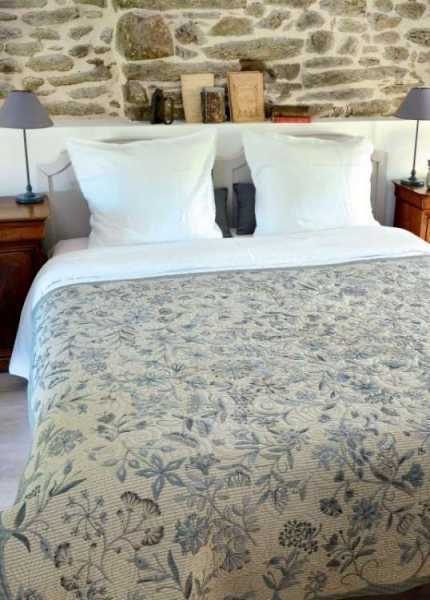 This quilt is a true work of art, and yes, it is mainly aimed at applique enthusiasts as this wild herbarium is composed of dozens of different flowers, cut from a subtle palette of grey and taupes, appliqued directly on a background. The pattern “Imaginary Garden” was a huge success when it was first published as a three-part series in Quiltmania magazine. As a result of its popularity, it is now available in booklet form! Check out the detail! The little touches of embroidery enhance every flower. This booklet is actually a library of many of her designs that she uses to embellish purses and small quilts as well. Just think of the freedom! Add any design, any embroidery, anywhere until the entire background surface is covered! This is a true labor of love. This entry was posted in Appliqué, Books, Patterns and tagged Yoko Saito by Penny Haren. Bookmark the permalink.